They don't celebrate Thanksgiving in Italy but some of their Renaissance era painters can inspire our gratitude. 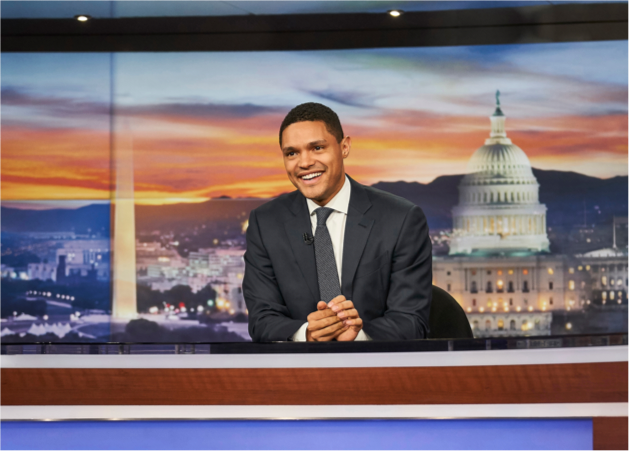 Two appetizer-sized shows at the Getty Museum provide sustenance and offer alternatives to Black Friday shopping. Not to say that the powerful Roman Borghese family was adverse to shopping. Scipione Borghese, a Cardinal and nephew of Pope Paul V, was an early patron of Caravaggio and three of the artist's best known paintings are on loan from the Villa Borghese in Rome. The rare loan is a way of announcing the Caravaggio Research Institute, which is dedicated to future study of the influential painter. Michelangelo Merisi da Caravaggio (1571-1610) had a short, tumultuous and brilliant career. Shortly after his arrival in Rome, he was embraced by Borghese and sales followed in abundance. He departed from conventions of the time in his dramatic use of light, shadowy palette and passionate renderings of facial expressions in action. The paintings at the Getty were drawn from three stages of his brief career. 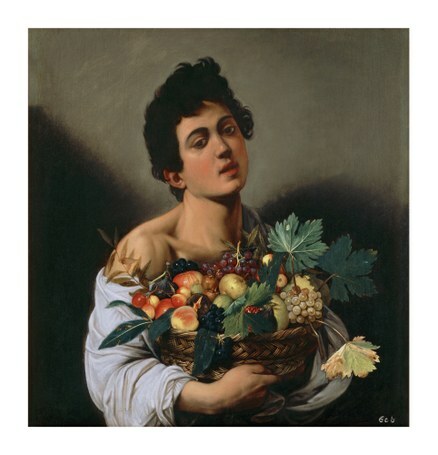 The earliest is Boy with a Basket of Fruit (1593-94), a brunette lad wearing an off-the-shoulder blousson and bearing a basket laden with fruits. It was painted when he first arrived in Rome and became a sensation for its realism and sensuality. Saint Jerome (1605-6) was painted for Cardinal Borghese and shows the biblical scholar with his books, the presence of a human skull on the table as reference to the brevity of existence and importance of the afterlife. One of the last paintings of Caravaggio's life is David with the Head of Goliath (1609-1610). 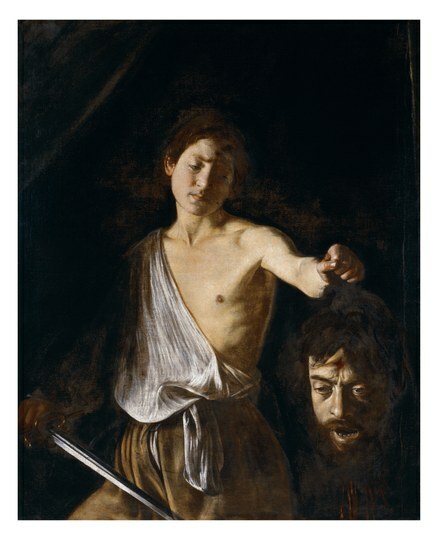 The young man holds a gruesome severed head which is thought to be Caravaggio's own self-portrait. The artist left a coded message on the gleaming sword, three initials standing for "humility heals pride." The artist, often involved in violent brawls, had fled Rome under accusations of murder and the words are thought to be a plea for clemency. He died of mysterious circumstances before he was able to return. 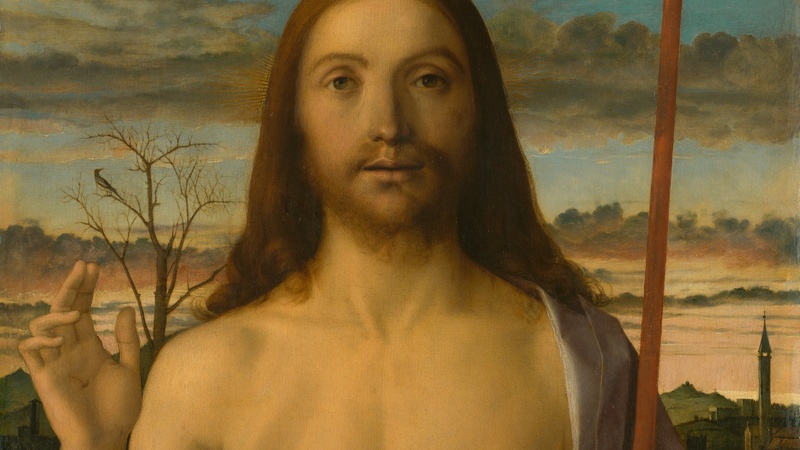 With great good luck, a wander down the corridor brings you to Italy of two centuries earlier, Giovanni Bellini: Landscapes of Faith in Renaissance Venice. Where Caravaggio is gripping and grand, Bellini is a quiet meditation on religious subjects in the Italian landscape. Though just a dozen paintings, each is a gem and this is the first time they all have been on view in this country. 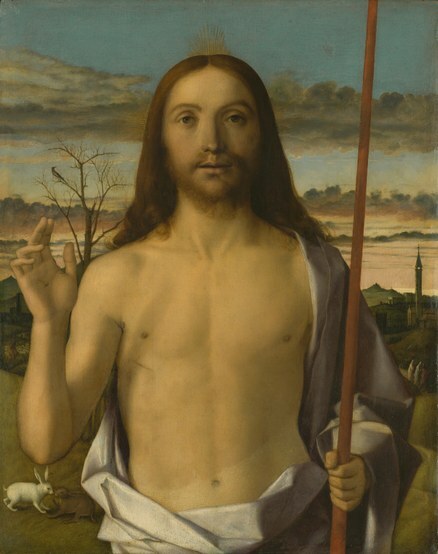 Giovanni Bellini (1435-1516), son of Renaissance artist Jacopo Bellini, began to develop his reputation by creating small paintings for individual devotion. He was able to transform such devotional pieces into the realm of refined aesthetics. Among the first to use oil paint, at times together with the more established use of egg tempera, his paintings combine exquisite, tiny details in an atmosphere of contained illumination. 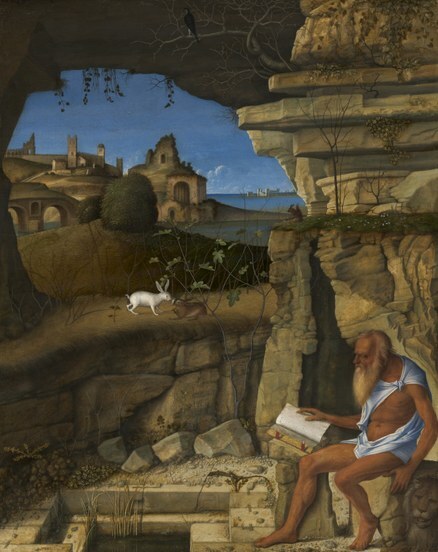 His version of Saint Jerome Reading in the Wilderness (1505) portrays the elderly saint reading in a rocky landscape with blue lagoons in the distance, a view distinctly Venetian as opposed to the desert of Syria where the scholar actually dwelled. 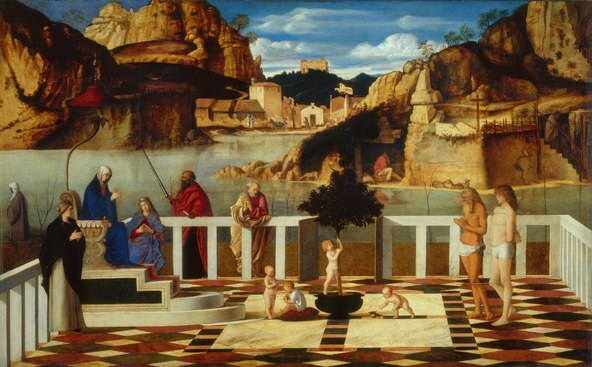 Later in his career, Bellini excelled in symbolic and mystical landscapes such as Sacred Allegory (1500-1504), an unusually long, horizontal picture where a cast of biblical characters including Mary, St. Sebastian, Job and a number of children are gathered on a terrace with a patterned marble floor opening out to a vista of placid water and rugged hillsides. As Getty Director Tim Potts said, "As a focused experience of sublime beauty in the service of devotion, this exhibition is as good as it gets." Though January 14, 2018.